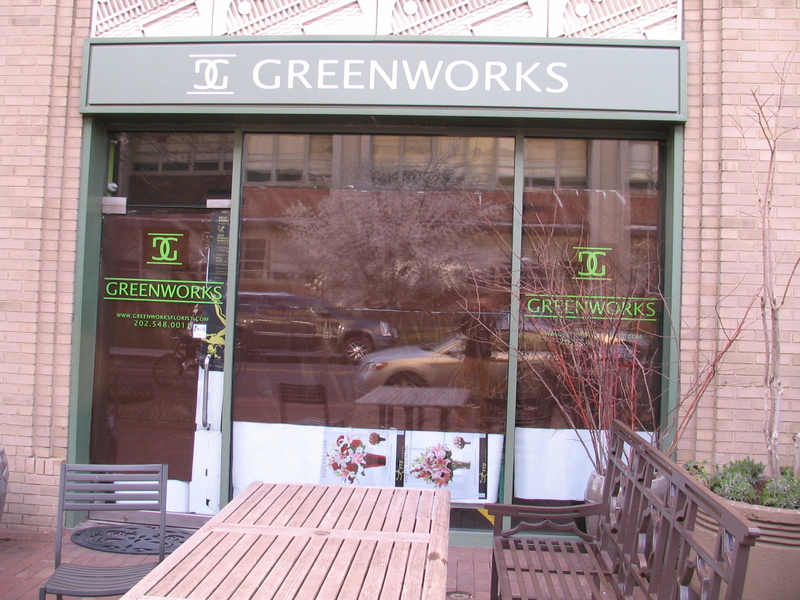 Greenworks Departs. Pitango Gelato Arrives. Coffee Competition Gets Tougher. Passersby will notice the papered over windows and desolate emptiness of the space in front of Greenworks, the florist outlet, which until recently, occupied the space on 7th Street, SE, next to Peregrine Espresso. Pitango Gelato, the popular confectionary with outlets in Penn Quarter and Logan Circle will shortly begin work to convert the space into their own gelato/coffee venue. According to Pitango’s website, in addition to espresso, cappuccino and caffe latte, they serve Italian hot chocolate, choro-latte (just what you’d expect), marocchino (equal parts expresso and hot chocolate), and affogato (espresso with hazel nut or chocolate gelato). With the recent opening of Pound, in the 600 block of Pennsylvania, competition is getting a little tougher in the retail coffee market. This turnover from retail to beverage suggests the folly of the folk pursuing less beverage and more retail on 8th Street and brings into question this notion that the redeveloped Hine site will contain any viable retail. I regret that a retailer selling books, apparel, or even socks will not be occupying the Greenworks space. Personally, I’d love to have an art gallery move in. I feel strongly that the Hill already hosts a sufficient range of eateries and coffee spots to meet neighborhood and tourist appetites and demand. I’m also concerned that another gourmet coffee shop further sets the tone for the type of retail that will occupy existing storefronts and Hines when it is developed. Three coffee shops a row, all with names beginning with the letter P, seem a bit excessive–it gives me the jitters without any caffeine– but competition is good. Perhaps Pitango will host displays of neighborhood artists, readings by Hill authors or find another way to make a unique contribution to the neighborhood. Meanwhile, we will have to rely on Stanton and owners of other commercial properties to achieve diversity among its tenants, present and future, to sustain the individualistic environment that attracted so many of us to the Hill. Our family is extremely excited about this – my kids especially! We love having so many wonderful places to eat and drink within walking distance.